Join the women of Rancho Santa Fe and support our community. Each year, we collectively give approximately $250,000.00 in grants to non-profit organizations throughout Northern San Diego County. If you are interested in helping us make a positive impact, please register for an upcoming event. Thanks to the Women's Fund & Harvest Ranch Market for donating 200 sandwiches! "Thank YOU Ellie and all the women who broke the record of how fast a group can make 200 extraordinary lunches! This morning in the soup kitchen, a woman who usually doesn’t take a sack lunch because she can’t eat peanut butter, was pleasantly surprised when she was told the sandwiches were turkey and cheese! This afternoon I got the pleasure of passing some of the last lunches out to people truly in need of lunch. 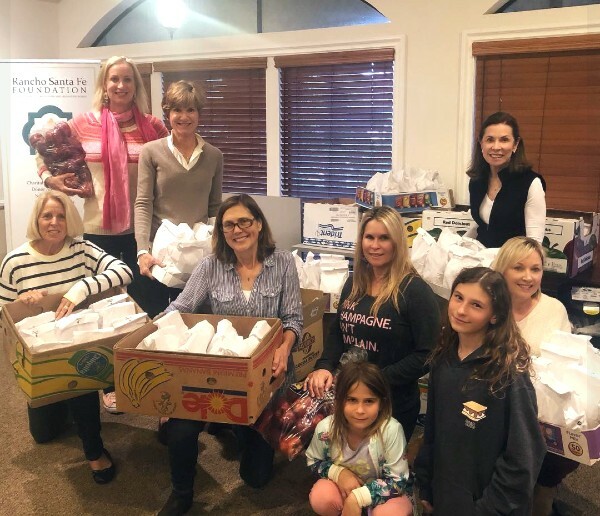 Today at Interfaith, 200 people are singing the praises of the Rancho Santa Fe Women’s Fund members for the over-the-top 200 DELICIOUS sack lunches, including the treat of turkey and cheese sandwiches, the women built in a mere 45 minutes!" March 5-20th: After careful review by committee, some organizations are selected to move to the Site Visit phase.